Now I understand why some people who do Bikram yoga are into raw food. I hadn't been to Bikram in over a week and was curious as to how I would feel being on this detoxifying diet. Before I even got all hot and sweaty, I could see the glow on my face (in Bikram yoga, everyone faces a mirror -- it takes getting used to). I was able to participate in the class at the same level I usually do, but something felt different. Some asanas just seemed a little easier -- mainly camel (Ustrasana, pictured above), seated forward bend (Paschimottanasana), and seated spinal twist (Ardha Matsyendrasana). I guess everything was a little freer to move inside of me, there was little obstruction, so to speak. I didn't feel weak, I didn't feel hungry. Those were my original fears. Guess there was nothing to worry about. This coming Tuesday, Alec Loorz, 14, founder of Kids vs Global Warming, will be speaking at the Museum of Natural History. He was trained by Al Gore, and is his youngest US-trained climate presenter. (Not sure why the caveat of "US," Al must be busy training other kids around the globe). Details on the event below. And here's a little bit about the non-profit he started, from Alec himself. Spoken like a true 14 year old, and I mean that in a good way. Alec Loorz, a 14-year-old from Ventura, California, founded Kids vs. Global Warming, a youth-inspired and youth-led non-profit organization, two years ago, after watching Al Gore’s movie, “An Inconvenient Truth.” Feeling the weight of the global situation and a sense that he could make a difference, Alec became an impassioned environmentalist with a desire to educate kids about global warming and empower them to take action. In this talk at AMNH, Alec will share his message of hope with an audience of students and Museum visitors. He will suggest ways for kids to get involved in protecting the environment. A question-and-answer session will follow the presentation. Last October, Alec was invited by Al Gore to be formally trained with The Climate Project and is now their youngest U.S.-trained presenter. Following this presentation at the Museum, Alec will be speaking at the United Nations during the upcoming “Global Partners for Global Solutions” conference on April 15. Sorry this picture is all a-blur. 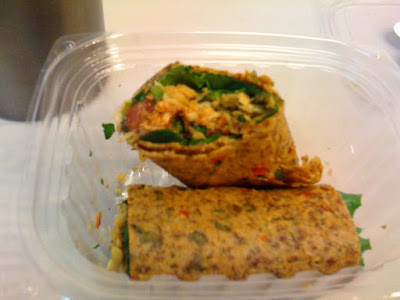 I'm high on raw, vegan spicy burrito. This stuff is amazing! (and I feel incredible). Last night I got home and there was a big fat goose egg on the display of the cable box. Didn't bother me any 'cause I haven't turned the TV on since my boyfriend's been in LA all week. Until now. I just read that there's a PBS special on Appalachia tonight. What's so special about that? 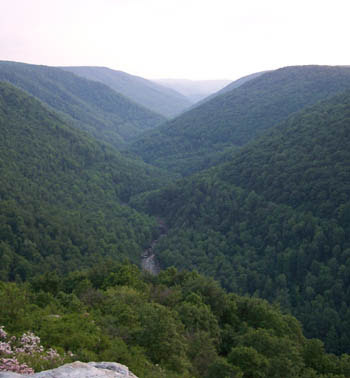 Well, for one: The Appalachians are the nation's oldest and the world's most biologically diverse mountains. Really? Go on! Too bad I won't be able to watch the series, but I can read about it on the website. Thanks to Rob Perks on the NRDC Switchboard for the tip off. I feel all abuzz and I'm going to thank the lovefast for it. I'm also feeling buzzed 'cause the bees in NYC are getting some new attention. 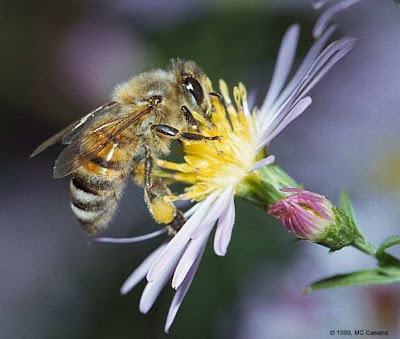 I've mentioned before that beekeeping is illegal in this crazy city... even pointed readers in the direction of a petition to make raising the little pollinators legal. Well Brooklyn Based blog (3 bees!) has done me one better. Read all about the secret beekeeping societies popping up in NYC -- started, of course, in the bee-lovin' borough of Brooklyn! And find out how you can learn to be a beekeeper and reap the benefits of a honey harvest from your very own hush-hush hive. Get on it, and get it on you! Rich and silky with a scrumptious scent of blood orange and vanilla. What else is there to say other than, this lotion is awesome! It may be a luxury for some at $18 for 8 oz, but ya gotta pamper yourself once in a while. Celebrate the rich bounty of out local Northeast region as Artisanal partners with Just Food, to bring you the delicious flavors of local cheeses and wines. We will enjoy hand-crafted regional cheeses, and explore the rich tastes our region produces. Part of your payment for this class will benefit Just Food. 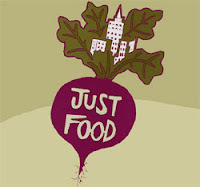 Just Food is a non-profit organization that works to develop a just and sustainable food system in the New York City region.